The Paragon Hand Held Shower Filter simply attaches to your existing shower hose. It works like your drinking water filter does, filtering out 99% chlorine, reduces scale, harmful chemicals, leaving you showering in pure filtered water. Latest News! Recently on the Oprah Winfrey show (TM) Dr. Oz (health expert on the show) discussed the benefits of having a shower filter for your hair and skin. Displaying our Paragon Hand Hand Shower Filter. Click here to read more from our blog! The Paragon filtered hand held shower head simply attaches to your existing shower hose. It works like your drinking water filter does, filtering out up to 99% chlorine, reduces scale and harmful chemicals, leaving you showering in pure filtered water. Filtered water is much easier on your skin and hair, alleviating dryness and itchiness. The glamorous shower filter head has been independently tested and certified by the NSF (an international consumer standards organisation). Try it today, you will feel the difference or your money back. When the tap water flows through the ParagonFilter system it filters the water through the Media 41 & KDF filter (white block), giving you the best shower filtration system available. Our patented Media 41 works in combination with KDF. Filters with KDF alone only last 5% as long as filters with KDF and our patented Media 41. KDF is a redox media, meaning it uses oxidation and reduction of ions. The redox process works by exchanging electrons with contaminants. This give and take of electrons converts many harmful contaminants into harmless components, such as chlorine to chloride. Other contaminants, including heavy metals, bond to the KDF media, which greatly reduces or virtually eliminates these substances. It has been tested to drastically reduce or effectively remove: Chlorine, Lead, Arsenic, Mercury, Iron, Calcium Carbonate, Magnesium, Bacteria, Fungi, Algae, Cadmium, Chromium and Selenium. This product is Certified and listed under the NSF Standard 53 for Health Effects & NSF STANDARD 42 for Drinking Water Treatment Units - Aesthetic Effects. The Paragon Hand Held Shower Filter is extremely easy to install, without the use of any tools. Easily remove your existing hand held shower head and replace it with the Paragon Hand Held Shower Filter. The Paragon Hand Held Shower Filter also comes with a standard sized metal shower hose that you can easily use to replace your existing hose. Functions only with shower filter cartridge in place. Comes with a universal shower mount, that attaches to a fixed water pipe in case you do not already have a shower hose attachment. Comes with all required components for a simple installation. Simply attach hand held shower filter onto the shower hose and tighten by hand turning clockwise. Remove the water saving flow restrictor device. It is a small white disc that sits inside the end of the shower head that attaches to the hose. Love it. Has made such a difference on my hair. Much less dry and coarse now. No more dry, flaky, chalky skin for me!!! Paragon Luxury hand held shower filter head is very effective and stops my dry skin from itching, resulting in smoother comfortable skin also glad I ordered a spare filter. Excellent. Hard water area we live in left your skin quite dry after a shower. This has made a fantastic difference. I am just new to this. The hand held shower seems to leave hair softer. No problems at all, 5 minutes to install and it works perfectly. I can feel the difference with the water, however it did affect our pressure a little, even after removing the water saver disc as advised. It's worth it anyway! I can’t clinically confirm the chlorine levels so can only assume that’s taken care of and comment upon the operational side. Water flow was my primary concern, having removed the water restrictor, flow if anything is better than the standard shower head. Yes it’s a bit heavy/big and needed the support pole tightening but that’s a small price to pay. Very good product, well worth the money, competent staff on end of phone. Highly recommend this product is very good and easy to fit. We like it, the water feels not as harsh as before and the changeable water jets feel good too. Just one thing; aside from counting the days, how else will we know if the filter needs changing? ** Reply from PS ** Thanks for the lovely review, we offer a free reminder service, so will send you a reminder around the 8 month mark. I have allergy to ammonia and it has recently been added to local water supplies causing me skin problems..having fitted the showe head my skin has improved..no more rashes or itching..can recommend. The shower filter fit easily and works well, good product. heavy but seems a quality product. Yet to see if the filter really achieves the result i purchased it for. ** reply from PS ** Thanks for your review, this product is a little heavier because it contains more filter medium than other shower filters on the market, making it last longer. We can provide a new universal fitting cradle if you wish. Very prompt service. The hose didn't fit but the head attached to my current hose ok and the water does seem softer - thank you. easy installation and works great! I have been using the shower head for a week or so. There is definitely significant improvement in the quality of water coming out. Water feels "softer" and "lighter" than before and has no chlorine odour. Very happy with this shower filter head - it is well designed, I like all the different settings, and the water does come out a bit softer. My skin feels less dry, thank you! Seems to do a good job, fits perfectly but a bit heavy the shower head. Nevertheless is better than our old one that never fitted correctly. I’m happy with the product. Really pleased with the product. Only had it two weeks but already my skin feels better. We live in a very hard water area and for years my skin was very dry and itchy...... not anymore. Wife and daughter also very pleased as their skin and hair are in much better condition. The different spray patterns is a good feature and the water does feel much softer, a great improvement from the very hard water that we are used to. Very quick delivery. Seems to be working as it should. Early days but promising. So far I’m very happy with the shower filter. It fitted straight onto my existing shower fitting and I’m seeing the benefits of the filtered water on my hair and skin. The service provided was excellent as well. Fantastic product it's a big different water I can just say go and buy it really buy it if you have a problem with your hard water. I suffer from psoriasis and we live in a fairly hard water area and I'm sure it has helped with my condition. Noticed improvements in hair and skin, and shower head works well and is not like needles (as previous head was). Plenty of water pressure for a good shower. It does have a positive effect on brutally hard water. Recommended! I love this shower head!, the water coming out of the shower looks clean and is so soft!, I never realised how harsh and hard the water was before that I was showering with, it's an absolute pleasure as it should be now, to have a shower. had one of these for few years now, got another one as a replacement due to old one wearing out. I really love my PureShowers filter shower. The difference on my skin is noticeable. I am very aware of the smell of chlorine in showers when I travel. With the filter my skin and hair feel softer. Product as described, very good. really happy with the purchase! Has made a huge difference to our water quality in the shower - my hair feels completely different! Quick delivery, Quality product, Worth the purchase and does what it says on the tin. Depending on your water quality your results will vary however this is a positive because if you do not notice a great deal of difference it means your water quality was great to begin with. Having said that improving on good = great so still a big plus in my opinion. Had one of these showerheads a few years back and really missed not having it so ordered another one. Live in a really hard water area and find it really helps my skin and hair be less dry. Would have given it 5 stars but as the filter is in the top part of the showerhead it does make it top heavy and liable to fall. ** Reply from PS ** Thanks for your review Colette - please make sure to tighten your existing shower holder or use the one which comes free with the shower head. It works as it is supposed to do, but it is unfortunately to heavy for the ordinary placement. ** Reply from PS ** A little trick is to tighten the screw inside the holder or use the holder provided with the shower filter. Thanks for the review! Shower head with filter works well but the pressure of the water coming out of the head is greatly reduced which is a big disappointment. **reply from PS Team ** Need to increase flow? Remove the water saving flow restrictor device. It is a small white disc that sits inside the end of the shower head that attaches to the hose. I have noticed some changes in my hair- now looks much better. My son's skin is very dry and I hoped that the filter will change this ,but still looks same and still very dry . This is a replacement for one I purchased over 12 months ago, we were very pleased with with both the product and the service and will buy again in the future. I brought the filter shower head as I have a problem that my water at home makes my blonde hair dull and slightly green. The shower filter has made a slight difference, can't fault the service I have received from pure showers! PRO: Really feel the difference in water quality. The shower head is slightly on the heavy side and the water comes out slower than my old shower head, but these minor downsides didn't put me off purchasing a second one. Order/delivery from pureshowers was straight forward with no problems. **reply from PS Team ** Need to increase flow? Remove the water saving flow restrictor device. It is a small white disc that sits inside the end of the shower head that attaches to the hose. Since I bought this shower head, I felt immediate improvements in my skin and my hair. My skin become smoother and I don’t need to use so much moisturiser to keep it soft all day. I have curly hair and is such a big change, my curls are softer and better defined without using so much conditioner and after wash crème. My showers became more pleasant and healthier since I started using this shower head. I really recommend this product and I will definitely, keep using it. I thought I would get better pressure but didn't **reply from PS Team ** Need to increase flow? Remove the water saving flow restrictor device. It is a small white disc that sits inside the end of the shower head that attaches to the hose. The Shower Filter has made a difference to our hard water and my skin. The product is as described and arrived promptly. Product as described, excellent service. Great product, very pleased indeed. Many thanks to the advisory team. Greetings ... hmmm ... well, the product came quickly ... it was easy to install ... and you guys responded quickly to my questions/emails. I think it's too soon for me to have a definite answer as to whether it's made a change in my hair. That said, I changed conditioners, and well, I don't like the new conditioner, so that may be part of the problem. More as I know more. A great purchase!!! A noticeable improvement on my skin Eczema prone skin. 100% would recommend. Arrived quickly and was easily fitted. There is no longer any scale in our shower. Result! This shower head is a miracle! First of all I have chosen the free delivery (up to 15 days) and it has arrived in 2 working days so I was well impressed. I have moved in to a flat where the water is incredibly hard and made my eczema so much worse and my hair started falling out. After the first use of this amazing shower head I felt like I am in heaven. I don`t remember the last time I have felt so good and refreshed after the shower. I could not get over it for hours how good my skin felt. I can only recommend this fantastic product. Do not hesitate as it is definitely worth every penny. I pay for a 48h delivery and got the product 2 weeks later. ** Reply from PS Team ** Apologies for the lost package and delay due to Royal Mail, we hope you will agree that we sent you a new product no questions asked as soon as Royal Mail told us the first was lost. Ive never left a review before, but felt this product deserved one. I was very skeptical at first and I wasn't expecting much, but I was wrong. I used this shower head for the first time today and my hair is soft and my skin is not dry. I'm contemplating buy a filter for the kitchen sink. This product is ideal for anyone who is in rented accommodation, or does not have the space for a conventional water softener. I recently moved house and was suffering quite badly from itchy skin and terrible hair due to the hard water. Since using the new shower head the itching has totally gone and my hair is so much softer. Life saver! I have noticed a substantial improvement in the condition of my hair. My curls used to be limp, hard and would take an eternity to dry. Now my curls are moisterised and bouncy would definitely recommend this. I also have noticed some benefits for my skin, less facial blemishes and it's softer on the whole. Works well with my electic showerpump too. Has helped lessen my kids eczema. I live in London and the water is extremely hard,both of my 2 children suffer from eczema,since we have had the shower filter they have both seen an improvement in their skin. They still have eczema they are much less itchy after a shower and their skin does not get red and blotchy like it used to before we had the shower filter head. Also we all have super soft hair as a bonus! After about a month of use, both me and my wife have seen a difference in our skin. I had eczema, and, since we installed the shower, it has receded. This shower save me of losing all my hair! This is amazing really, stoped my hair loss. I am very happy, I would recommend to anyone. I have been using the Paragon Filter for a month now and it makes such a difference. My hair is more fluffy and skin is less dry, it really does filter the hard water. I highly recommend purchasing this filter if you don't like showering in hard water and you don't have space for the other filters which are available. And many thanks to the staff at Pure Showers who were very helpful in answering my questions on filter sizes and when to change the filter in the shower head. Brilliant customer services. This luxury hand-held shower filter head works well. I used a cheaper one before which leaked and the holes were too small so I replaced it with this. The head is large and gives a nice spray. You will get an enjoyable shower from this shower head. I highly recommend it. Worth every penny. A very effective well made shower head, worth every penny. A lovely shower head that does exactly what it says: Provides filtered water with no disruption to the flow of the water! I'm happy with the purchase, since I installed the shower filter, I haven't experienced dry and itchy skin after taking a shower. A good product and fast delivery. alleviate some of itching and dryness to my girlfriends skin . Good product very happy customer. My skin is less dry when I come out of the shower which is good. My eczema hasn't really improved but my skin is softer which I hope in time will help the eczema too! I really like the shower head.. For many years I lived in an area with spring water as a water supply...since living in UK with mains water I have always recoiled at the smell of the mains water. Now I am loving the showers and my skin feels completely different, much smoother and softer. I'm really happy. Shower head seems to have made a difference, hair looks different and skin less itchy. Prompt delivery, easy and quick to install. Amazing results! Immediately noticed that hair and skin are much softer and can breathe more easily in the steam from the shower now. Feels so much healthier. Well worth the money. Wish I had done this earlier. Very happy with service and results! Fast delivery, surprising easy installation/instruction and an amazing and immediate result of much improved water quality! No more suffocating chemicals at shower time and much softer skin and hair! Very strongly reccommended, for general health and especially if you have sensitive skin, asthma, excema etc. Will definitely continue using this product. Well worth the cost. Works very well - it would be useful to include a guide as to how long 10,000l should take to use (e.g. a 5 minute shower should on average use perhaps 5l, therefore on two showers per day it should last 1,000 days, or just under 3 years). I'm only guessing at figures, and of course it varies depending on water pressure etc etc. Otherwise, very happy with the product - noticeably less limescale and and my girlfriend reports her hair is MUCH softer, and my psoriasis has noticeably improved. Well what can I say . Pureshowers was very quick in processing my order.. received the next day ! I bought this shower filter head mainly for my African grey parrot ...Yes you do have to shower or mist spray a parrot ..Ha-ha with filtered water to take out the hash chemicals that could irritate your parrots skin or your own skin . This product does the job very well as my own skin and hair feel's really soft , so I know the parrot will feel the same .. .
Great service provided by Pure showers and I believe the quality of the product is very good. I will be ordering in the future. I bought this shower head to try to improve my daughter's excema, which it has helped a bit. But I am thrilled that I now don't have to clean the shower head every 3 days to remove limescale this more than makes up for the slight lack of pressure. I also enjoy having soft hair! I would definitely recommend pure showers to any one and it is very good value for money. 37000 liters does not mean much to most people. Neither does one year. It would be useful to indicate with shower filter heads how many showers can be got depending on what level of hardness of water. Shows head filter a bit on the heavy side. The products work well especially the family filter. The filter works well but the shower seems a bit heavy for the holder. 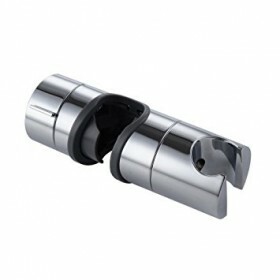 Reply From PureShowers.co.uk - please either use the shower cradle supplied, or tighten the existing shower head holder. Thank you. Buy it, you wont regret it. As someone who has suffered from dry, itchy skin with eczema type of flare ups most of my adult life, this was bought with a healthy dose of hope. The results have been slow, whereby I only notice now that I do not have to use such heavy creams on my skin or even add extra oil to them. But the real test came after a week away in the UK and the water wasn't soft or filtered. Wow within 36 hours my skin started to itch again. So yes I will be buying the replacement filter. Very effective, despite a slight, and expected, loss of water pressure. Recommended. The service i recieved was first class my order was proccessed quickly and the product was first class. I mafde a mistake with my order and the refund was swiftly sorted. I love my new shower filter; When i come out of the bathroom my skin isn`t so dry and when i do moisturize it, it seems to last longer. The limescale in the shower has also lessened, and overall my hair feels significantly softer, i believe in conditioner again! brilliant purchase, just need to replace all the other taps in the flat now. Great to find a filtered shower head that works with the shower pump. Very good thanks. Excellent product. My son suffers from eczema and every time he came out of the shower water stung him and burned him tremendously. Since I bought the shower he has felt nothing. It`s really beautiful, excellent and also magical. A strongly recommend this for all people who have skin problems. What a great thing, could not believe how much difference it has made to our skin and hair. Have recommended to our friends and family. PureShower offers fantastic service that is easy to use. I am most impressed with reminders of filter replacements that I found very handy. Also, PureShowers helped me improve my skin condition. Since I bought my first filter in May 2013 I hadn`t had one outbreak of eczema and I am very pleased with the results. The shower head and attachment is very easy to install. The water feels much softer now and so there is less need for lots of shampoo. The is much healthier for the skin. Am really happy with the product, although I`m not too clear on when it should be changed. Bought shower head to cut back on hard water. Does the job, only negative is the reduced power. The shower head is working well - the only drawback is that it is quite heavy and we have had to attach it to the remaining part of the shower so that it does not fall down. My daughter suffers from the skin condition psoriasis and we have had the shower head in use for about 3 weeks now - her skin does feel softer, so we are hoping that she will feel the benefits of the filter. More effective than expected! Do not hesitate! We noticed improvements on our skin just days after the product arrived. Our scalp no longer itches and we have noticed a decrease in eczema. We are very satisfied. Shower head fitted easily and softer water seems to be making a difference to my sensitive scalp. Would have been good to have a little more info on the site (about the shower head) and also some kind of instructions or information in the box - including how to install and what replacement cartridges are needed and when. But the product is great and shipping was quick. the shower now is much better not scalely and does not dry my skin so much. me and my husband have seen a difference to our skins. Very good service. Shower head working well and on the female side, they report hair is much softer and skin less dry as a consequence of the good filter. Will continue to monitor effectiveness and lifespan of filter. Would recommend highly. I`m delighted with my the pureshower I have bought, it has really help with my daughter`s eczema and she`s not itchy after a shower anymore. The shower head I bought helped prevent dry skin and dramatically improve my lifestyle. Is it possible to have a filter for the kitchen tap and also when do I replace the filter? Pure shower filter is an excellent product and lasts for a good number of months. My skin is much softer and much less dry as a result of using this shower filter. Fast, efficient, professional service. Good products. We have used the new filter shower head for many weeks, so have had a good chance to evaluate this product. The water `feels` softer, hair feels nicer after shampooing, as a plus, we noted that the glass in the shower cubicle doesn`t suffer from the usual water chalk marks, and we live in a bad chalky water area. My only regret, I should have discovered this product earlier. The whole family has benefited from it. Our friends have noticed the difference in the appearance of our skin. I have recommended it to them all. The delivery of my order was a bit delayed and I had to chase. However, once I received my ``new shower`` I was very pleased with the product. The water feels much better on my skin and I`m not getting skin coming off my scalp anymore either. My hair feels less ``harsh`` after my daily shower which is also a big plus. The only issue is that the shower head is very heavy but it`s obvious as it has to hold a rather large filter. I`ll definitely be buying a replacement filter in a year`s time and I urge anyone with bad skin to buy a filtered shower head. I was very happy with the service and the speed at which my enquiry was handled. Service and product as described and of good quality. I am delighted with my shower head which has improved the `condition` of the very hard water in London. My only (very slight) reservation would be that as I did not register for an account, I received no confirmatory email of my order... this is a small thing and overall I would recommend this company and their products. Using the shower filter I have noticed that my skin is not irritated. I suffered from hives, but so far so good. Also noticed having to use less soap, shampoo etc. I'm very happy with the purchase. I was very pleased with the service. The delivery was quick and the package arrived as described. It was very simple to install and I have noticed a great difference in our skin and hair, as it is less drying. The shower glass door has no white residue!!! I am so pleased I invested in them. Thank you Pure Showers!! The Website was clear and delivery was really quick. Excellent product - good service! After doing copious research for a product which would give me, at least, the benefits of softening my very hard, limescaly water, I decided on the Pure Showers complete Shower Head following very good on-line reviews. I was not disappointed - the product arrived very quickly and was incredibly easy to install. I was able to just unscrew my existing shower head and replace with the new one. The product does come with adaptors and a spare hose, but in my case these were not needed. I suppose that I could really see and feel the benefits of the new, filtered water from about the 2nd or 3rd time of using. My hair no longer resembled a thick, stiff toilet brush and my skin no longer visibly flaked when drying off following a shower. I now have beautiful, lustrous, knot-free locks and my skin is itch-free and feels moisturised even though I haven't applied moisturiser. It really is a super-cheap easy and instantaneous solution to a very common Norfolk hard water problem. excellent service, filter works well. Hi, I moved from the US to the Netherlands and noticed the water here has been ruining my hair! I ordered the handheld showerhead filter; it arrived fast, was packaged well and was easy to install (I am not a plumber!). I like it so much better than the standard European handheld and in just a few days I've noticed a difference in my hair: it's finally getting as soft as it is in the US. Very pleased with the product. Fantastic service, very happy with the product! Very quick delivery. Good quality product and easy installation with clear instructions enclosed. Definitely recommend. The filter is great. We live in an area with very hard water. I've never experienced it before as I'm used to very pure and soft water from New Zealand. The filter has reduced the itchy scalp and skin, helped keep our hair shiny for a change and the glass on our shower takes a lot longer to get the lime build up which used to need cleaning several times a week! I wouldn't be without it. I purchased a shower with filter from your office and so far I am extremely satisfied with the outcome. My hair loss is lesser, my skin is softer and my son's rashes are less as well. Thank you so much !!! Can't really see how you can improve? maybe offer a spare filter at a good discount?? I am absolutely thrilled with this product - my hair had been driving me crazy for so long - lank,itchy,difficult to do anything with. From the first wash I saw and felt the difference - it was clean, soft and thicker looking. I have just ordered the bath ball so I can enjoy soft skin after a relaxing bath (from the pictures I don't think the bath / basin attachment would have fitted. Thank you for a brilliant product and swift delivery. I am chuffed with the shower filter I ordered all the way from Belgium. My hair is both a lot smoother and silkier since I've come back from Thailand. I am fully sold… I also no longer need to cover myself in gallons of hydrating cream after each shower twice a day ! I am honestly very satisfied. Thanks ever so much for this marvellous creation. I am amazed by the product! My hair loss disappeared! I am very, very happy with the shower filter unit I purchased from this site. This filter has really helped with my super sensitive skin. My skin is no longer agitated after taking a shower. Thank you. I have been losing my hair by the hand full for over three years now, I am surprised I have any hair left to be honest. I tried many different things from changing my diet to supplements, oils,shampoos etc you name it......in just 3 weeks of using my shower filter and reverse osmosis drinking water, it has not only stopped falling out , but I can actually see new growth already and it feels so much thicker. Wonderful service and an excellent product. Very pleased with the purchases. Quick hassle free service. Easy to adjust to the existing shower. Would like to know if it is correct that the temperature of the water should change when adjusting the flow of water through the shower head? This shower head is fantastic! I have been using bottled water to rinse out my blonde hair for months since arriving from Australia into the UK again. After enjoying soft water for years in Australia, the hard water in London wreaked havoc on my highlighted hair. I have already noticed a big difference after one use of this shower head. So happy I purchased this. I am pleased with the paragon luxury showerhead and filter I purchased. I have been given so many compliments on how flawless my skin looks. I have experienced less hair breakage too. so I am overall one happy customr that is definately gonna come back for replacement filters. Excellent product and prompt delivery. There has been a definite improvement (80%) in my skin since using the new shower filter head over the last month, for a problem I have had for a few years. Highly Reccommended. I have been very satisfied with the return policy when I decided to change one of my products. very good. No more limescale in my shower. Excellent service - very quick despatch. As for the shower head - wow - I cant believe the difference in my skin, hair and shower doors!!! I am using about a quarter of the shampoo and moisturiser tha I was before I got the shower head. Worth every penny. Am now intending to replace all the shower heads in the house! I am very happy with the service. takes only 3 days to arrive. I use to have dry skin, and since I use this shower filter, my skin doesn't itch no more. For that I would give 5*. Very please with the result. The only down side is that it's heavy. But will definitely recommend this product to my friends and family. hi all, i must say im impressed, easy to use, and the wifey seems to be happy with it! highly recommended. Amazing product.... Would advise anyone and everyone to use it. My skin feels so much softer and cleaner. So easy to install to. Service was excellent. Shower works brilliantly - I no longer am covered in red welts after. The only small complaint is that it is heavy to hold, and if it falls on your feet. Hello thank you, I really feel the difference in my hair and skin, this product is very good!! 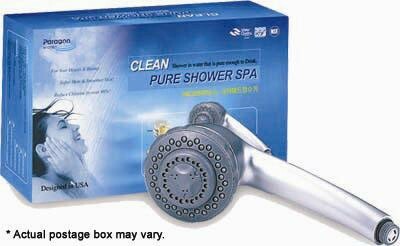 This is my second purchase from Pure Showers, one was a gift. I wish more companies were operated in such a professional manner. I love the products and will continue to use them. Great service and great product - thankyou! I am quite happy with the Paragon Luxury Hand-held Filtered Shower Head. No more sticky feeling and I can feel the difference in the health of my hair. However there is hardly any instructions for replacing the filter in the user manual. I've been using my new shower filter for a month & my skin doesn't feel as dry & itchy, so far, I am happy with the results. I am delighted with the shower head and found your service excellent, quick and efficient. Five stars. Just like to say how impressed we are with the shower filter, skin and hair so much softer, and it does what it says on the tin, we consider it an investment towards better health, very impressed with the speed of the delivery considering we are in the uk and the sellers as well. Thank you. Bob and Pauline Lloyd. Norfolk United Kingdom. I would give it five stars. It's a great shower head- powerful and sturdy. I also appreciate what it is doing to filter out impurities and improve our health. I would give the shower 4/5 stars. My face used to itch after using normal water, which has now stopped thanks to the new shower head, and my skin and hair isn't as dry. Really pleased. loads of different shampoos but nothing worked. Eventually someone mentioned it could be from the chlorine in the water as I live in a hardwater area. I am delighted with my new product. For 2 years I had a major problem with my hair breaking off and thinning. After much research and my hair turning a green tinge, we finally figured out that it was the water softener that we had installed into the house. I discovered Pureshowers during my research in sorting out my distressing problem – I can honestly say since having the Paragon luxury hand held shower filter, my hair is healthy and growing again and my skin is super soft. I have just ordered my second filter for the bath shower and a filter for the built in shower. The service has always been excellent and delivery within 24 hours. I wouldn’t be without this product now it is top class. five stars - we love this shower head. Unfortunately when we got our first one - we kept forgetting to order a new filter and it certainly began to tell on the showerhead and in the feel of the water!!! It took quite some time to get rid of the limescale that had clogged up the spray holes. So we got a new one and a spare filter or two so we are fine for at least the next year. Wouldn't want to be without one now. We noticed a difference in how hour hair and skin felt from the first shower. The only down side is the decrease in water pressure. I am so impressed with the handheld paragon for the shower that I have had to place another order. You remember that we spoke on the phone and I complained of burning, well after using your product, I had No burning whatsover which suggests a high chlorine content in the shower water. In addition, the pressure of my shower was so weak but it is now 10x the pressure it used to be and I have not even had to install a power shower! Plus my skin is already softer and clearer, particularly on my face. I have however had to use my sink to wash my hands after my shower and I really noticed the difference - it made my hands feel really itchy which is why I have ordered a further product that fits on the sink. Yes I find the pure shower much better than my original shower ,this pure shower makes my skin and hair much softer and all that uses it thinks the same. I would highly recommended people to use the pure showers, it does do what it states. I used to hate taking showers but now I love them thanks to Pure showers. It is a very cheap way of converting hard water to soft water. Really great service and very fast delivery. I suffer from eczema and very dry skin, since using Paragon shower head my skin is so much better and does not seem as dry. Thanks, a great product and highly recommended. The product was delivered promptly and I have been using the shower head for about 6 weeks now. My skin is definitely less red (caused by dry skin and psoriasis) and after a shower it is not as dry as it was before. If I was been ultra picky then it is slightly heavy but it’s not a real issue. Hi, despite be very sceptical, before using the pure shower head, I would now give it 5stars without hesitation. Not only has there been a 100% improvement in my skin, but I no longer have to clean the limescale from my glass shower door every day. Wish I'd had this years ago. The shower head filter has proved to be a great buy. We instantly noticed an improvement in the water quality and can feel the difference when washing or showering. We think it will be a great health benefit and would highly recommend it. I was very impressed with the swift delivery and pleased to find that my new shower head was very easy to fit. I think it is good value for money and am so happy I no longer have to shower in water that smells of bleach! We would give your paragon filter 5 out of 5 we are very pleased with it. The only downside was royal mail delivery it let down the good service we had received from you. I would give the Paragon hand held shower head 4 stars out of 5. I love the shower head, it's great. Easy to install and my skin was smoother after only 2 days. (Even my boyfriend noticed.) Very helpful and friendly service when I rang and asked a question, all great! I was going to buy one for my friend for her birthday but I think she's expecting perfume. Maybe Christmas. Haha. Five stars. Great product, it leaves you feeling revitalised, fresh and ready for the day ahead, your skin is smooth and supple and not tight / dry.. I will continue to use this and purchase my replacement cartridge from Pure showers. I love it,- do not change anything about it. I have had other shower filters before, they are clunky under the tap part/ not attractive particularly/ and work ok/ and water rather slow. The Paragon hand held is great to use, stylish , great water filter, like the different shower modes, and am very happy with it. And was very reasonably priced also !! I don’t have anything to compare it to but it’s the second one I’ve bought (for a second bathroom), because I’ve been happy with the results of the first one – my skin no longer gets itchy after a shower. The only thing I’d say is I expected the filter to last longer than it did as it’s only me using it and I have very quick showers. However, despite the extra cost of needing two filters a year, I’d still recommend it. PS Team Comment: We have found that the filters lifespan depends greatly on the quality of the water in your area. So if it is harder/more contaminants, then your filter will need to be changed more often as it is working harder to remove more impurities from your shower water. I would rate the shower head very highly. The water is very hard in this area, and I would say the filter has made it feel softer. I will continue to use it and will be purchasing a replacement in due course. Such a great product! My hair is no longer chalky and matted, my skin doesn't itch, I don't know how anyone can cope with London's hard water without one! I have been using my new shower head for only a couple of days and already I can see a difference on my skin. My skin is so soft that I use a little less moisturizer. Its like magic coming from a shower head. I have already told friends and family this product is a must! I am getting on really well with the shower head it is wonderful for me to be able to have a shower again after all these years. Excellent product. I suffer from dry skin and very dry hair caused by highlights and i have noticed a big inprovment in both. My hair is soft for once and shower creme lathers lots. Fits very easily no hassle. Definately worth the buy. Am going to purchase one for my main bathroom. I was extremely impressed with the service and the products I received from PureShowers and I will definitely be placing an order in the future. 4. Product works as expected. A tick in all boxes – thank you. One word: AWESOME. Thank you for a great product. My husband (who was a complete sceptic and really annoyed at what he felt was a ridiculous purchase) no longer needs to use his anti-dandruff shampoo. His skin rash has completely cleared without a trace and my sons eczema has significantly cleared. My skin is much less dry after my shower (which I used to dread).I now look forward to my shower because it has become a luxurious pampering experience! I would give five out of five stars, I love it, it has really made a difference to my hair and my skin. thanks from a very happy customer! I'm very pleased with your product. In fact I bought 2 of the shower heads (paragon). Have a nice day. From day one of using the paragon hand held shower head filter we all noticed the difference to our water. I hardly have to use any moisturising cream on my body now, before my skin felt dry and tight my scalp feels so much better now too. My son who i mainly ordered the filter for has dry skin from childhood eczema and he has noticed such an inprovement. I would certainly recommend your product and indeed have to all my friends. I will replace filter when this one runs out. Your service was excellent,my filter arrived within a few days and that was when we all had deep snow everywhere. Thank your so much. Mrs p cheap. I thought the service was excellent – immediate response to queries, postage cost removed, quick delivery. The shower was very easy to install and I don’t seem to get itchy skin after showering now, so it seems to work !! I’ll probably purchase a second one for the other shower room at some stage. Works very well. Easy to install. No fuss really. Over with the dry skin!! It did exactly what it said on the tin. Great. I will order replacement filters in a year and I expect you will remind me. Skin is better. I'm more confident about the water. I even fill the bath through the shower head. Excellent product, no more limescale on the shower door! My water is very heavily chlorinated which irritated my skin after a shower. Also, it had a very drying effect on my already dry hair. With the shower filter fitted, the water is much kinder on my skin and hair and my arms and legs no longer itch after a shower. I am delighted with the shower head plus filter and with the service I received. When it arrived, I had to call your office as the shower head appeared not to fit properly (please refer to my email to you at the time for the full details). Anyway, after a little investigation with your representative it was established that the filter did not have both washer rings attached. 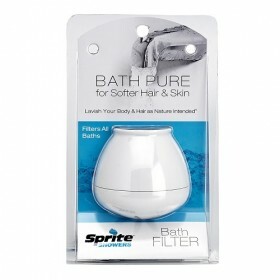 A new filter was despatched to me immediately and I received it the next day - for a perfect, working shower. Excellent service! THANK YOU for such an incredible product! The quality and ease of your product is first rate and I cannot tell you how much of a difference it makes to my hair and skin! The showerhead itself is a real luxury item, and knowing all the impurities and chlorine and gases are no longer being absorbed by my body is a great way to start the day (or end it!). Thank you for making a superior product that really delivers. So far I have been very impressed with this purchase - easy to fit, great settings and effective. I have been fighting the effects of topical eczema, particularly on my legs and feet, for nearly five years. I changed my whole life the day I fitted this Shower Head filter and even on the days when I bath (it's sometimes hard to get my partner out of the shower when we are both going out!) I still make a point of rinsing my legs and feet for a minute or two in the shower, to remove the bath water! My nails are improving, my hair is easier to style as it is less dry and 'fly-away'; and I need to use far less shampoo, conditioner or shower gel than before. So far.........our dog hasn't rolled in anything nasty recently; but I shall let you know how his coat looks after his first Paragon shower too! Oh, and the water tastes better too- I always end up with some in my mouth with our power shower! The temperature control on the wall was fixed, blocked with sediment and beyond cleaning. A few minutes blast with the shower head on hard burst... the calcium could be scraped away and we can now fine-tune the temperature as we wish for the first time in two years. I reckon that alone is worth ***** in anyone's book. I have recommended this product to several friends already. I have enjoyed using the hand held filtered shower head over the past 8 weeks. it is easy to install and use and I have noticed a significant reduction in the buid-up of limescale around the taps in the bath. Both my skin ad hair are benefitting and I am really pleased. I will certainly buy again,thank you for a great product and service. I had some trouble connecting it to my existing pipe but once i bought a new pipe (taking the shower head with me) and a couple of washers it has fitted ok. I bought the filtered shower head about 6 weeks ago primarily to try and get some shine back into my hair. Having grown up in a soft water area and now living in a very hard water area the impact on my hair was very noticeable. I have tried many different shampoos but it was still looking dead and dull, which was annoying as I knew how nice and healthy it could be. I guess I was expecting a miracle with the shower head and was disappointed to begin with, but now 6 weeks later there is a noticable different. The shampoos do lather more quickly and my skin feels softer after using the shower head. I will continue to use and would recommend it to others, just don't expect miracles. With regards to the service provided by Pure Showers, no complaints, shower head arrived in good tim and in perfect condition. This shower filter is fantastic, not only has it removed all traces of chlorine but it has actually improved the flow-rate from our shower! It took only a moment to swap the old head for the new, and I wouldn't hesitate to wholeheartedly recommend this filter to anybody seeking to improve the quality of their shower. And my skin feel so much better too! Thank god for this product!! I wish I had brought it sooner! I've been suffering from extremely dry skin for ages and was tired of smothering myself with moisterizer daily. My skin is now is extremely soft and my hair less brittle. I think the Paragon Shower Head filter is great. It doesn't reduce the water pressure at all, and in fact I get a better flow of water than I did from my previous shower head - which came as a bit of a surprise. The shower head is quite heavy, so I found I needed to tighten the screw of the bracket that holds it so that the shower head didn't fall forwards because of its own weight. But that was easily done. The shower is ok but the head is sooo heavy that sometimes it falls off the shower attachement on the wall which can be dangerous. Great product; I immediately noticed a difference in my hair due to the elimination of chlorine deposits. Just ordered more filters today and another showerhead for the guest bath. I moved from the US over a year ago and always had trouble with the water here, but it became a huge issue when I recently moved to a new place. My hair felt greasy and unclean and my skin itched terribly. I ordered a paragon shower head which arrived in record speed the next day. It was easy to attach and I immediately felt better. I couldn't keep my boyfriend out of my shower and he originally thought I was exaggerating the issue. He decided to do a test of five days of pure showers and 5 regular to see if it made a difference but didn't even make it through one day in the old water. He has just order one for himself so is fully converted. I will say that the head is a bit heavy so doesn't hold upright like the old one but it doesn't bother me. The flow has also slowed somewhat but previously it was too powerful and wasted a lot of water so we consider a good thing. I would not hesitate to recommend this product. ENJOY!!!! Used to have skin and hair problems due to hard water and now using the Paragon filtered shower head my skin and hair condition has improved immensely. We are very happy with the effect , and there certainly has been a considerable improvement in the quality of the water. We live in a limestone area and my wife was reacting badly to the limestone effect. The water comes from boreholes I think, so that it is very hard. The shower head is very heavy and maybe you could work in making it lighter. Fantastic!! My shower came the next day!! 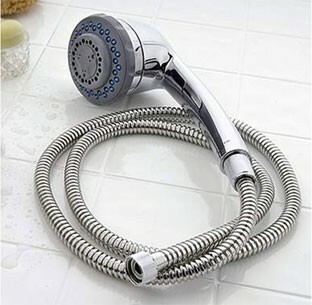 I was very impressed and I've told all my friends to order a shower head from pure showers!! They were very helpful on the phone and provided me with all the information I wanted. I placed an order on Thursday night and I had the delivery on Saturday morning. Brilliant and trustworthy ! Excellent Service. Good communication via emails and goods arrived in perfect order. The delivery was on time and we like the item a lot. Arrived within 2 days and has already made a huge diffenece to the condition of my hair! Thank you Pure Showers, you have done good. loved the product,arrived quickly, ordered on thursday evening arrived saturday morning.had worries it wouldn't fit my shower needn't of worried.does everything it promised.couldn't be happier.have recommmended to all my friends and telling all my salon clients of the benefits. Informative details about the product,making me want to buy.It was sent to me quickly.Easy to install.Well after 2 weeks since putting the filter on my shower,it's great.I never realized how much damage chlorine does to the skin.Will be looking to get a replacement filter when mines run out.Very good. I was really impressed with the speed of my shopping, usually internet shopping takes a good few weeks but with pureshowers.com I had my order within a few days. The website is really easy to use with information of the products on offer and they kept me inform with e mails about details and tracking of my order. Why can't all internet services be like this? Deffinately use it again. When I first moved from Australia to the UK (London) only a few months ago, I was not particularly prepared to have skin and hair problems. It had never been the case before and to be honest, I had never given it much thought, until now. Indeed it was only after a couple of weeks that I started realising that the water was actually the cause for my dry skin and hair. The white marks left in the shower were a clear indicator of chlorinated residues in the water. After ordering the Paragon Luxury Shower Head with Built-In Filter, I have noticed a great difference in my skin and hair. My hair is now more manageable and feels fuller. I also use less soap and shampoo. I feel so much healthier. The installation of the equipment was also a breeze. I'm usually quite bad when it comes to DIY but it took me less than 10 minutes to get it installed without having to resort to complicated tools. Because of all the above, I truly recommend this product to my fellow antipodeans as well as to all people in England suffering from the same ailments. Thank you.